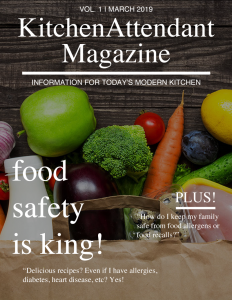 The KitchenAttendant Magazine will bring you all things KitchenAttendant. What does that cover, you ask? So for every category that The KitchenAttendant Console tracks, we will be posting news on each. After all, we do so much research for our development efforts that we figured we would share some of our findings with you. But for now check out the news by clicking “The Magazine” button on the menu bar up top. If you want a specific topic of news, like Food Recalls or Recipe, you can select the link you prefer under Categories on the right.